It took a Halloween party–and an entertaining pair of eye catching costumes–to bring Hannah and Danny together for a meeting that they will never forget. “I was dressed as a sailor girl, and Danny was rocking a hilarious cow costume,” Hannah recalls with a laugh. The two, who met as undergrads as the University of Southern California, hit it off immediately. When Danny proposed four years later, Hannah’s answer was a resounding yes, and she happily accepted the ring, a radiant cut yellow diamond with a halo that Danny designed himself. Naturally, the duo wanted to find a place where they could hold a true celebration for their friends and family. They found it instantly at Chalk Hill Estate, a Sonoma Valley venue that offered sweeping views, a beautiful lawn setting and a sophisticated pavilion. Wanting to enhance its natural beauty, the two turned to Melissa Panico of MAP Events to create a scene that was refined and romantic. Wooden accents blended in seamlessly with the pavilion’s dramatic wood vaulted ceilings, and a neutral color palette served as an elegant base to lush floral arrangements in shades of delicate blushes and deep purples, designed by Katherine Oliver of Cherries Flowers. 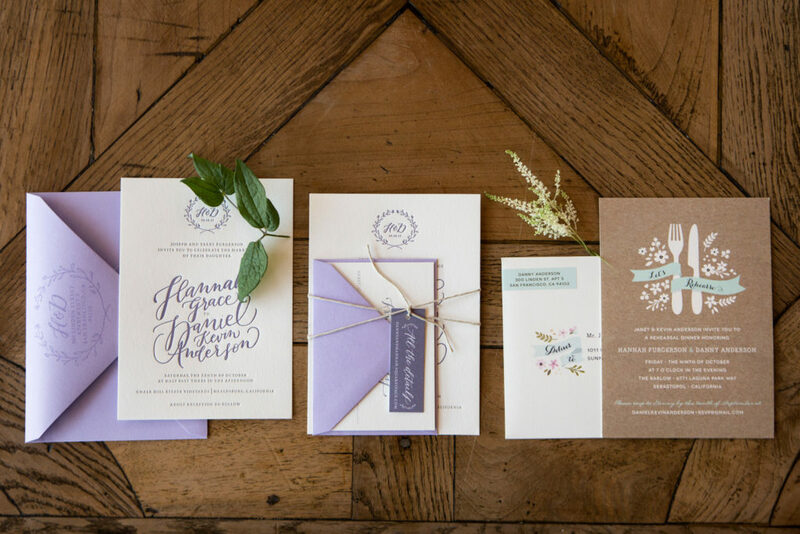 With a breathtaking backdrop of rolling vineyards, Hannah and Danny exchanged handwritten vows beneath a rustic arch laced with eucalyptus and lovely pale blooms. Hannah embraced pops of color and infused her personal style to the big day. In lieu of traditional white, the bride opted for a stunning Ines di Santo strapless lace dress with a soft cameo pink underlay, paired with custom flats by Jimmy Choo. For the reception, she changed into a pink and purple floral cocktail dress by Monique Lhuillier. Bridesmaids wore flowing Jenny Yoo dresses in shades of pink and purple. The groom donned a classic black suit by Isaia Napoli, while his groomsmen sported lilac ties. ite Creamery (a frequent date night stop), plus a re-creation of their favorite cocktail from a neighborhood restaurant. Hannah also surprised Danny, who loves classic cars, with a convertible Packard. 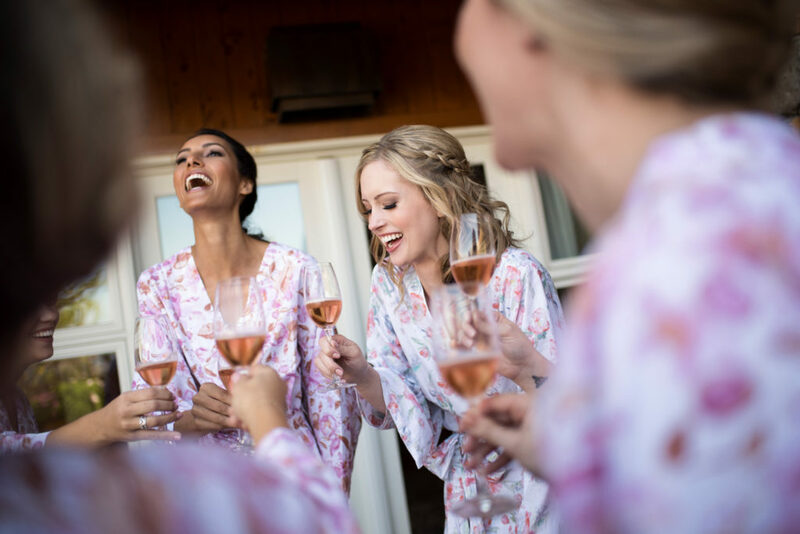 Hannah’s advice to brides-to-be is to have a strong support system on the big day to help keep you calm and focused—and, more importantly, to remind you to savor every moment.